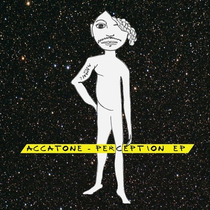 The Apparel Music imprint dropped Accatone’s ‘Perception’ EP this October, featuring four original tracks from the Portuguese producer. Accatone aka Jose Reis, has been steadily evolving as an artist over the past four years, racking up a string of releases for Roots & Wings, Apparel Music, and Dabit Records. Here he returns to Apparel where he’s a member of the booking agency as well as the imprint. The single opens with title track ‘Perception’ which sees Accatone employ warbling electric piano chords, loose, raw drums and an infectious acidic bass line as the foundations. Things slowly bloom before Accatone’s unique original vocals are layered on top, creating a contemporary house cut. Following is ‘Machine Speak’, which takes on a more stripped, sparse feel this time, with a less-is-more approach achieved with crunchy 4/4 drums, sweeping bass tones, and evolving dubbed out synth stabs, again resulting in something moody and intriguing. Entering the latter half of the release is ‘Drums Be Drums’, where Accatone embraces a more house focused aesthetic here as he brings 909 drums to the forefront, and bright piano chords, swirling, delayed stabs and cosseting pads softly meander around the sturdy rhythm. Then to close the EP, ‘Do What I Feel’ is offered up, this time Accatone opts for a hook-driven progressive feel with the structure, as bubbling organs, heavily swung drums, and preachy vocal lines steadily bloom throughout its near eight minute duration, and a gritty saw-wave bass lick is eased into the groove and alternated throughout to keep things interesting. It’s out now, check it out below.